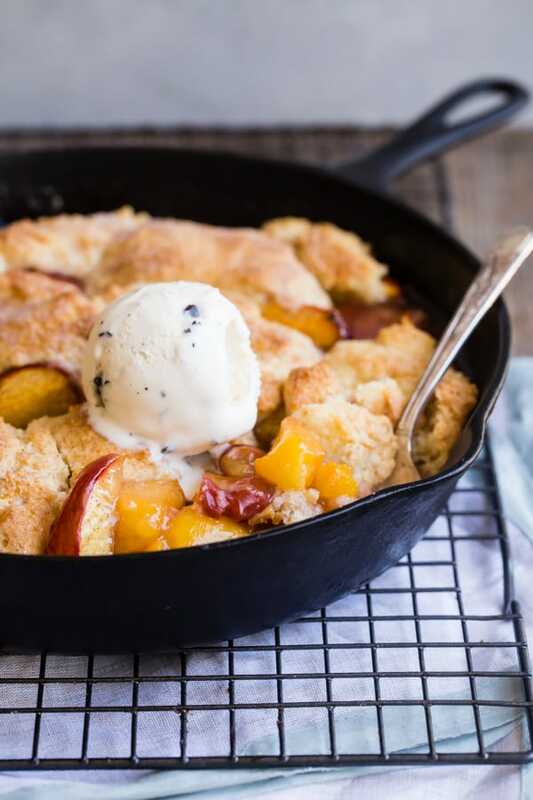 Not too sweet and perfectly spiced, there’s no better summer dessert than a warm peach cobbler, fresh out of the oven, with a scoop of vanilla bean ice cream. No need to grab a box of cake mix, because this made-from-scratch recipe comes together in a flash and bakes up into fluffy, golden brown perfection. This summer, life’s a peach! Need to make a summer peach cobbler for two, or for an army? Click and slide the number next to ‘servings’ on the recipe card below to adjust the ingredients to match how many you’re feeding—the recipe does the math for you, it’s that easy. A traditional cobbler is a dessert using fresh fruit, in this case peaches, with a biscuit-like dough that is dropped by the spoonful onto the fruit and baked. When it was invented, it’s likely that it looked like a bumpy cobble brick road, earning the name cobbler. 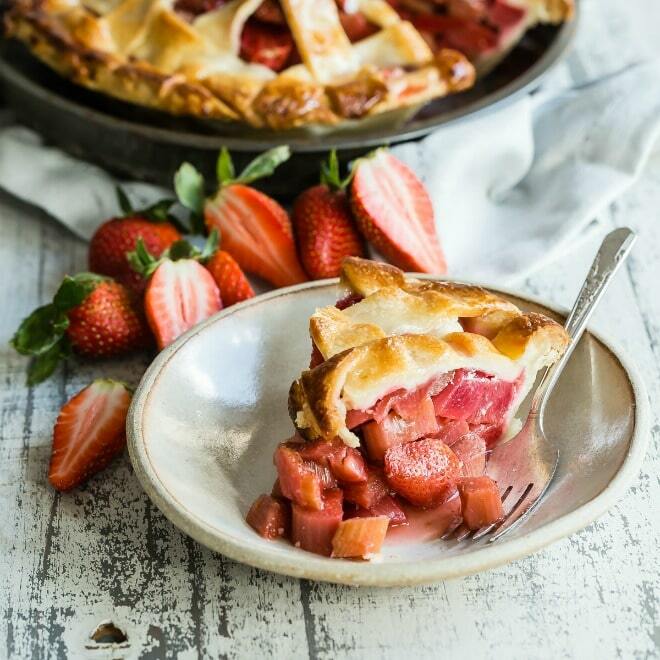 Pies, crisps, buckles, cobblers, and crumbles all are made by baking fruit with some kind of dough. 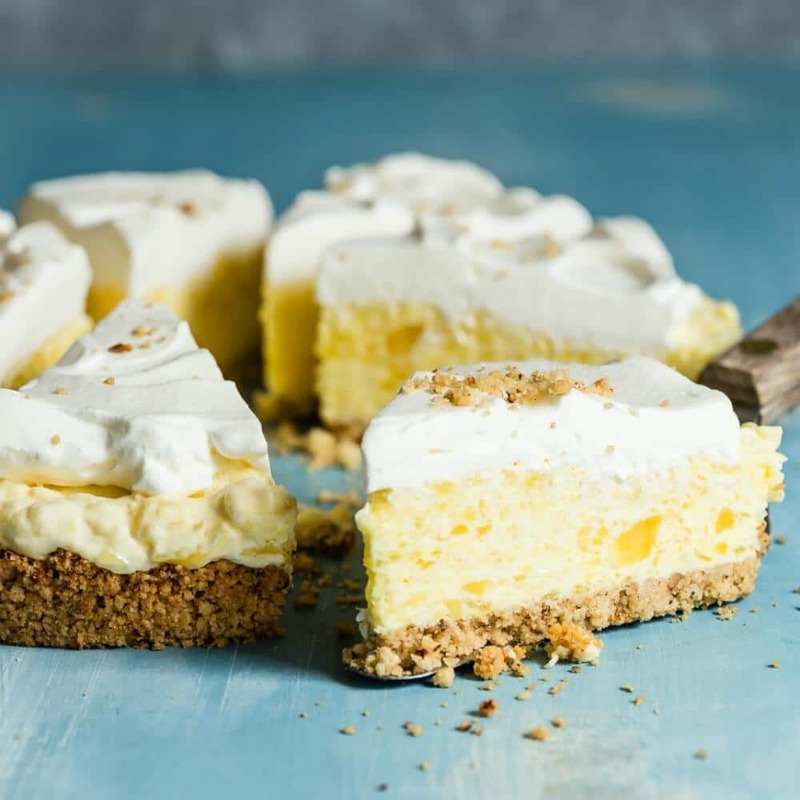 These desserts can vary depending on the region, much like the dialect of a language. In general, crisps rely on a crumbly, streusel type topping that can contain oats, while cobblers are more biscuity and fluffy. How do you make Peach Cobbler from scratch? First, peaches are quickly blanched and peeled, then sliced and mixed with sugar, spices, and a little cornstarch. The topping is made by cutting together butter, flour, sugar, salt, and baking powder until it looks like coarse meal. Finally, milk is stirred in to make a batter that is spooned over the fruit mixture and then baked. Do you have to peel the peaches for Peach Cobbler? While it’s not mandatory to peel the peaches, you may want to give them a good scrub to get as much of the fuzz off as you can. Can you use frozen peaches to make Peach Cobbler? In the summer when gorgeous peaches are in season, I buy half a bushel, and slice them up and freeze them to make cobbler all winter long. 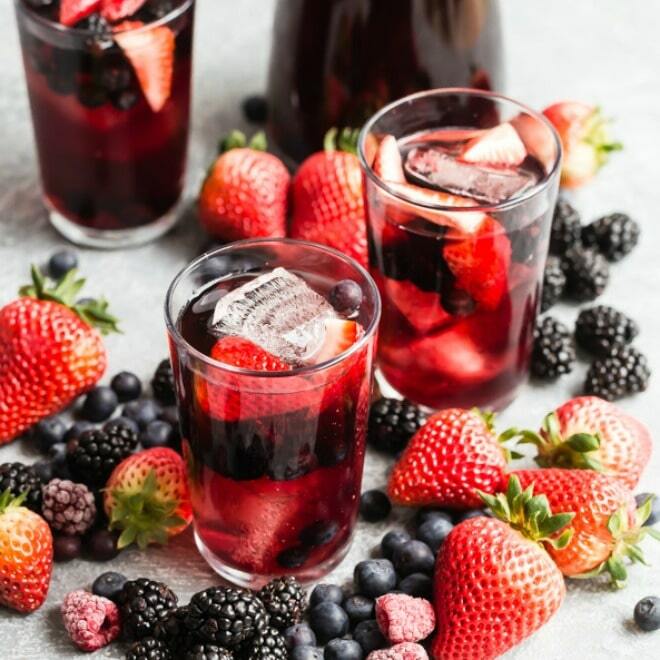 You can bake this recipe without thawing the frozen fruit, but you may need a little extra baking time if you do. Can you use canned peaches to make Peach Cobbler? If you prefer, you can use canned, drained peaches in this recipe in place of fresh. What can you use instead of a pastry blender? If you don’t have a pastry blender, you can use two knives for cutting the ingredients together. If you’d like to get a pastry cutter, I like this one. Can you make Peach Cobbler without sugar? If you’re trying to limit your sugar intake, you can make sugar-free peach cobbler by switching out your favorite bake-able sugar substitute. Can Peach Cobbler be frozen? Does Peach Cobbler need to be refrigerated? After you bake the cobbler and serve it, it should be fine left out that day. If you have any cobbler left over afterwards, you can store it in the refrigerator after serving and reheat as needed. 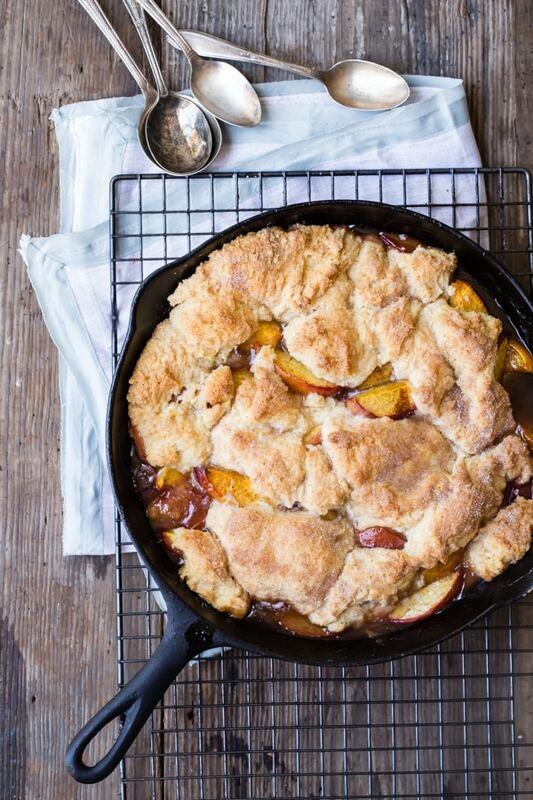 Can you make Peach Cobbler in a dutch oven or cast iron skillet? 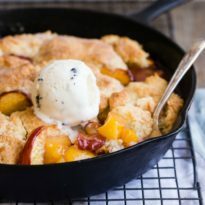 Instead of a casserole, you can use your favorite cast iron skillet or Dutch oven for this recipe, but you might want to butter the skillet before adding the peaches.You can also break this cobbler up into mini, individual servings and bake using buttered, oven-safe ramekins. Can you make Peach Cobbler in a crock pot or slow cooker? 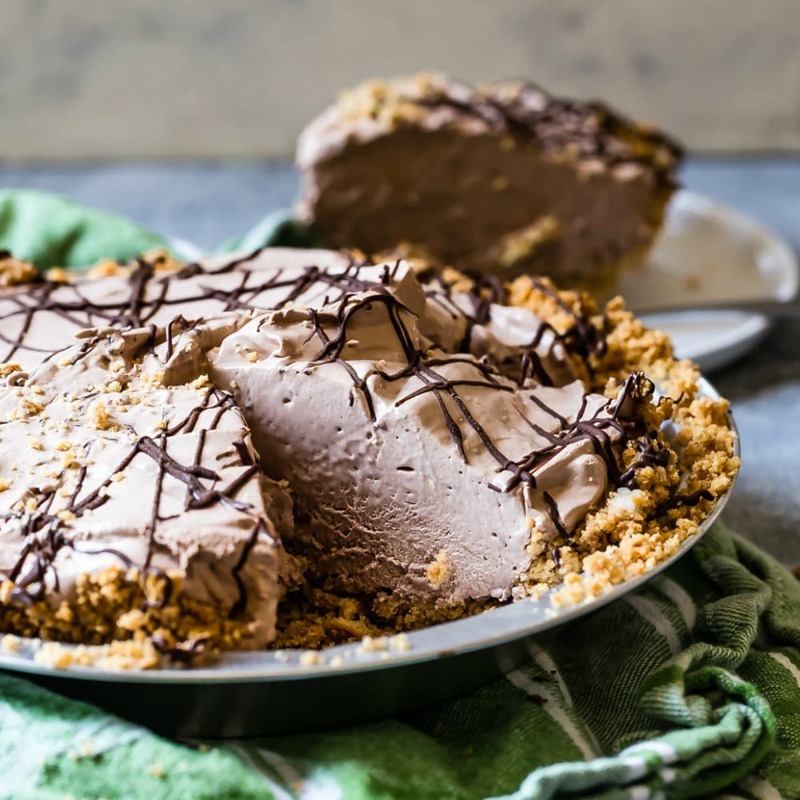 In case oven space is an issue, you can try making this in a crock pot, but you may need to invert the batter, putting it at the bottom of the crock pot, so it can cook. Let me know how it goes! Drop dough onto bottom of a 5-quart slow cooker coated with butter. Spoon the peaches over batter. Cook, covered, on high until peaches are bubbly, 1-3/4 to 2 hours. How do you keep peaches from turning brown? In case you’ve already sliced the peached, but need to put things on hold, don’t fret. To prevent peaches from turning brown, add some lemon juice to them. Save this Peach Cobbler to your “Desserts” Pinterest board! Preheat oven to 350 degrees. 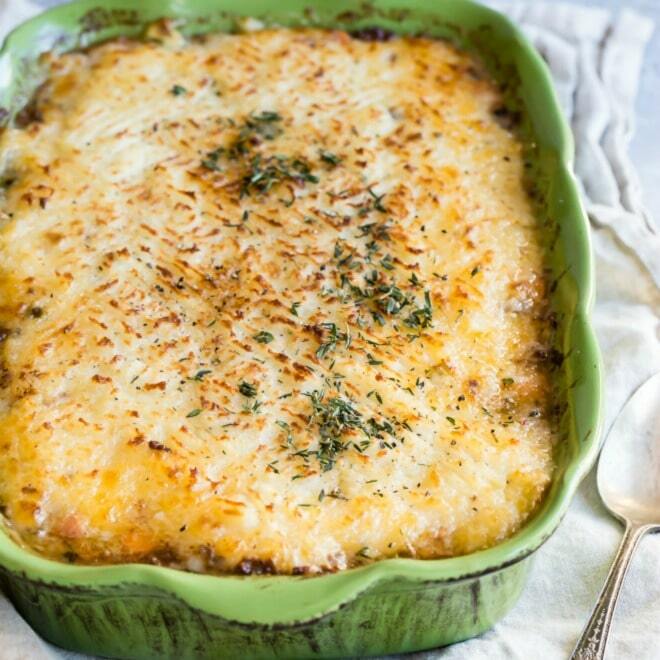 Coat a 2-quart baking dish or a 9-inch by 13-inch cake pan with nonstick spray for easy cleanup. In a large bowl, combine peaches, sugar, cornstarch, cinnamon, nutmeg, and salt. Toss to combine and pour into prepared baking dish. In a large bowl, combine flour, sugar, baking powder, and salt. Cut in butter with a pastry blender or your fingers until mixture resembles coarse meal. Stir in milk until just combined. Drop spoonfuls of topping over peaches until it is nearly covered. Sprinkle with the sugar and cinnamon mixture. Bake until topping is firm and golden brown, and the filling is bubbly, about 45 to 60 minutes. Cool 30 minutes. Serve with vanilla ice cream if desired. Peeling the peaches is optional but recommended. To peel the peaches, first blanch them. Score the blossom end (bottom) of each peach with an x. Working with a few peaches at a time, immerse in boiling water just until the skins pull back and wrinkle, about 20 to 40 seconds. Immediately plunge into a large bowl of ice water to stop the cooking process. Once the peaches have cooled, you should be able to easily remove the skin with your fingers or a paring knife. 1/2 cup finely chopped nuts, such as pecans, pistachios, or walnuts may be added to the topping. Adapted from Williams-Sonoma Fruit Desserts.